Createspace Independent Publishing Platform, 9781452875965, 28pp. 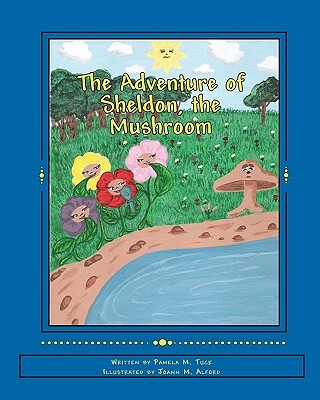 Sheldon is a tall, lonely mushroom surrounded by beautiful flowers. He is often teased because he is so plain and doesn't have a pleasant aroma. Because of his quiet nature and different appearance, he is ignored by the bugs and flowers, as they enjoy themselves dancing and singing. To everyone's surprise, Sheldon is needed in a life-saving emergency, and his significance is discovered when he turns into the hero of the day. The rhyming songs are extra tools used to express the valuable lessons of being kind, being humble, and helping others. Pamela Tuck is a native of Greenville. She credits her writing to her upbringing, surrounded by southern storytellers. She began her writing career with poetry in elementary school. Inspired by teachers, family, and friends, she branched out into short stories and plays. She is particularly interested in writing stories for children, from picture books to middle-grade novels. Pamela received the 2007 New Voices Award from Lee & Low Books for a picture book story entitled "As Fast As Words Could Fly." She lives in Pennsylvania with her husband and writing partner, Joel, and their children.